Two useful words today, for the price of one; though, as I do this all for love and vanity, I'm not sure that makes much of a difference. There once was a fellow called Alexander of Hales. 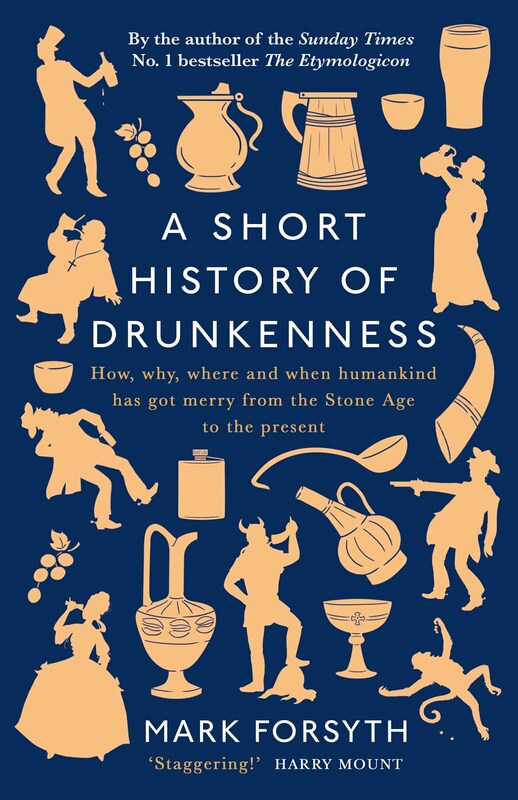 He was an Englishman but he ended up teaching theology to thirteenth century Parisian monks. As a teacher he would set aside three days during which his students were allowed to dispute with him upon any question they pleased. These were called quodlibets, which was Latin for whatever you want. Quodlibet is simply a much grander sounding word for what is now called a Q & A session. So great a quodlibetist was Alexander of Hales, that in all these disputes nobody ever managed to outdebate him. It was from this that he earned the title The Irrefragable Doctor, meaning the Doctor whose arguments can never be defeated. Irrefragable is a wonderful word, especially as it's a useful argumentative term. You can drop it into a dispute (The first two points are irrefragable, but point three is interesting because...) and thus put your opponent off his stride out of sorts. 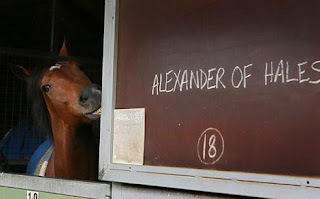 Not everybody liked Alexander of Hales. 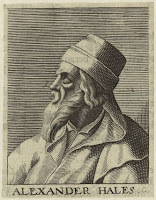 Roger Bacon said of his book the Summa Theologica Alexandri, that it weighs more than a horse and was made by other people. This may be why there is now a racehorse named after him. Incidentally, the Glossographia; or, A dictionary interpreting all such hard words, whether Hebrew, Greek or Latin... as are now used in our refined English tongue defines quodlibitaries as those that run after their own fancy or imagination, and do what they list, which sounds rather fun. Inky, if you did what you list you'd be terribly busy, and I suspect terribly ill.